Its one occasion when musicians produce music at the local level, and another when top performing artists from around the globe unite in a music festival that reaches the attention of worldwide audiences and achieves a high level of acclaim. 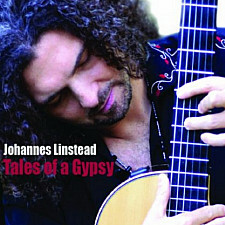 Johannes Linstead is an Award Winning Canadian guitarist and multi instrumentalist proving his acclaimed talents once again by his current release. Showcasing his lively artisanship on Spanish guitar, Mistico becomes the well centered focal point and international meeting place for dedicated music professionals uniting from Canada, Spain, Cuba, Greece, Iran, and Venezuela. Recently winning Best World Album & Best Instrumental Album – Acoustic in ZMR’s 2009 Awards, plus ranking #1 at eMusic.com’s World Music & Jazz / Blues charts, gives the few people not familiar with the quality of his work a little more insight. 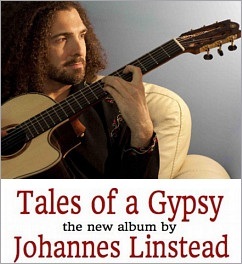 Listing just the highlights of his music career, Johannes was recognized in the Canadian Smooth Jazz Awards as Guitarist of the Year, had 4 Top Ten charting albums at Billboard, Best World Album JUNO Awards nomination, and 4 Best Album awards at NAR & NAV. With over 500,000 albums sold worldwide, the long list of awards and nominations in entirety reaches a length most artists strive to achieve in a lifetime. Johannes Linstead has a musical style not easy to categorize since Contemporary, Latin, Flamingo, Mediterranean, and World are just some of the essential New Age influences that when synchronized with a vast array of percussion instruments, seamlessly integrate into stylish musical scores that could be more easily categorized using the word festive. 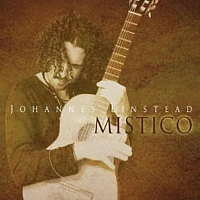 Mistico is the successful album that commands much respect, not only by the heart beating origins of another chart topping project by Johannes and his extraordinary Contemporary Latin guitar rhythms, but Mistico becomes an extravagant music festival with top international artists performing by his side. The Happy Song ( Felicidad ) begins this rare international festival of 11 original songs with up-tempo flare, neatly tailored to the elevated atmosphere of the occasion while giving Johannes his first opportunity to sport the masterful guitar melodies for which he has become famous. The accordion composition smoothly introduces a heightened amount of ambience to the opening number with much fanfare, while groove rhythms in Rico ! move gracefully in counter beat with beautiful electric guitar runs, congas, and bongo drums to interlock in dramatic fashion. Leisurely strides in Night Dance rely on a crisp Latin styled melody with moderate vocals to generate a nice distinction to a more casual Twilight, where the sheer beauty of guitar melodies lend themselves to a veiled feel of lively sophistication. Otros Mundos embraces percussion claves, congas, bongo and timbale while playing rhythmic intermediary companion with guitar melodies expert runs in well defined chords. All She is ( Ella Es ) brings a light breeziness into the storyline, while Coconut Girl outlines positive imagery of the spirited occasion on this festive album. Rhumba styled Santa Maria with accordion harmony extends a tantalizing impression of solidarity to the sunny and joyful affair. Durango brings the talents of many artists into the lively exotic mix, where dejembe, doumbek, and bongo percussions dispense the glitter, while guitar instrumentals and accordion intermezzos engrave the melodic sparkle. 1000 Veils conveys energetic rhythms and palmas ( hand clapping ) to make a striking contrast to violin’s and Spanish guitar’s well structured verses. Mistico ( Title Song ) enters an extravagant linage of passion where violin and doumbek perpetuate the energetic tempo and warm festive atmosphere, uniting with resolute harmony while synchronizing to become positively dazzling. Much like the territorial borders the world musicians in attendance encountered during the album’s production, Mistico crosses many borders itself, achieving an extravagant repertory for everyone who listens to this celebratory fiesta of music. Viva Mistico! The global musicians uniting to form this international festival alongside Johannes Linstead include Anastasios Bigas, Frank Marcos Aular, Jalidan Ruiz, Jordan Abraham, Geoff Hlibka, Yosvani Castaneda, Sina Khosravi, and Laura Fernandez. 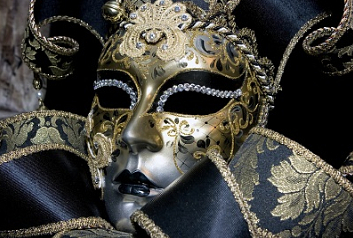 Visit johanneslinstead.com to sample / purchase or visit his Amazon.com pages here. Picture copyright Big Stock Photo – Siart. Album cover copyright Johannes Linstead.